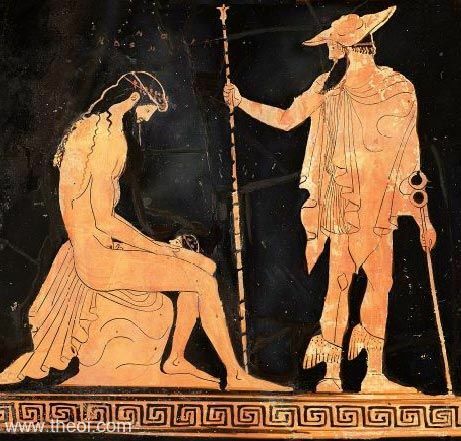 Zeus seated on a rock births the god Dionysos from his thigh. Hermes stands beside him holding his father's royal sceptre in one hand and his own herald's wand in the other. He wears a petasos (traveller's cap), chlamys cloak and winged boots.